Apple has told its Genius Bar employees and Apple Authorized Service Providers to offer free battery repair service for some 15-inch Retina MacBook Pro models released in mid 2012 or early 2013, provided the customers are willing to wait for until at least November 15 for the service to be completed, MacRumors is reporting. 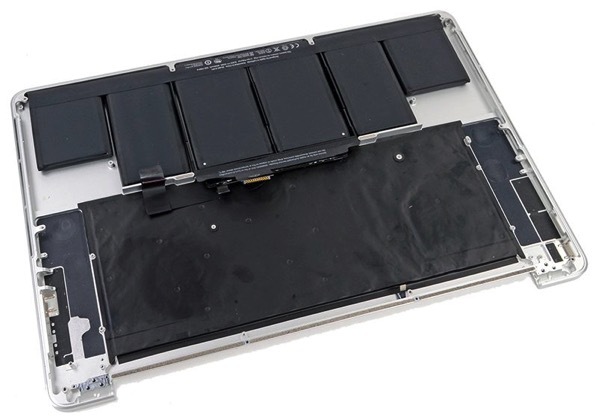 Apple has offered this option since August 25 due to a continued shortage of the aluminum enclosure that the battery is glued into on the aforementioned MacBook Pro models, according to an internal memo obtained by MacRumors. If a customer does not wish to delay the repair, Apple says that standard out-of-warranty prices for battery service apply: $199 in the United States, £199 in the United Kingdom, $289 in Australia, or $259 in Canada. It must be noted that this offer does not apply to any other Mac, including the 13-inch Retina MacBook Pro, 12-inch Retina MacBook, MacBook Air, or models without Retina displays. In order to find out whether your MacBook qualifies for the offer, simply click on the Apple logo in the menu bar and then go to About This Mac > System Report > Power. In the Health Information section, if the condition says “Service Battery”, then your MacBook Pro qualifies for this offer. Apple will further verify if your MacBook Pro qualifies for the offer by performing a diagnostic test at the Genius Bar at most Apple Stores. Repairs are allowed for failed, consumed, and swollen batteries.